Born at 96 Cliftonpark Avenue, Belfast, on 28 October 1907, John Harold Hewitt was a renowned poet, art historian and collector and political activist. Hewitt worked as an employee of Belfast City Council for 29 years in the Museum, before moving to Coventry. He returned to Belfast in 1969. Describing himself as ‘a man of the left’, Hewitt had an active political life and was involved in the British Labour Party, the Fabian Society and the Belfast Peace League. He was an early advocate of the concept of ‘regionalism’ as a means of establishing personal identity, as opposed to traditional sectarian concepts based on politics or religion. He rooted his own regional identity within the island of Ireland and famously described his identity as Ulster, Irish, British, and European. Despite Ulster’s entrenched sectarianism, Hewitt reached out to all citizens in his pursuit of the arts and social justice. In 1930 he was appointed Art Assistant at the Belfast Museum and Art Gallery. During the thirties he and his wife Roberta participated in civil rights activism and socialist policies. They were instrumental in the formation of a progressive art group, ‘The Ulster Unit’, which included John Luke, Colin Middleton and others. 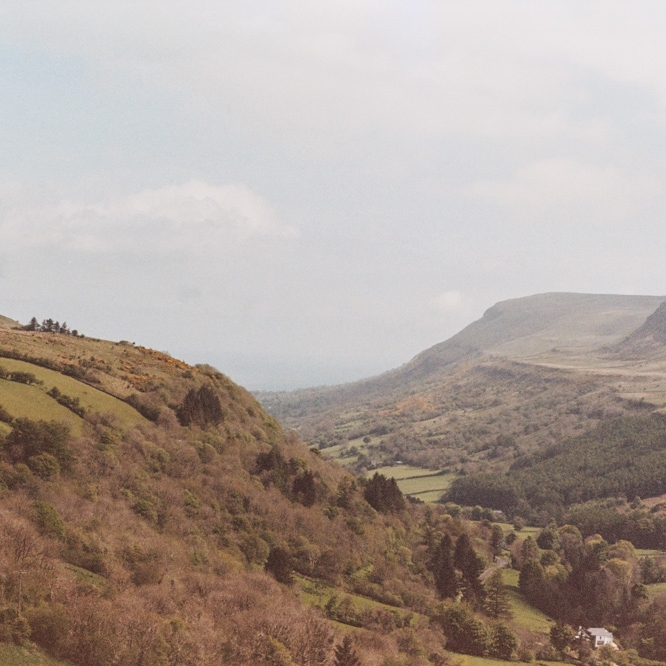 In these years he also discovered the Glens of Antrim, an unspoiled, spectacular landscape, with a people for whom the traditional myths and legends remained vividly alive. Hewitt wrote about this landscape and the people there that continued to influence his poetry for the rest of his life. “His cross-sectarian ideal of Regionalism energised writers, painters, and general cultural activity during the post war period. It recovered ancestral voices and provided some of the basis for a second take-off in the 1960s”. In 1957 he moved to Coventry as Art Director of the Herbert Gallery and Museum, returning to Belfast on his retirement in 1972. 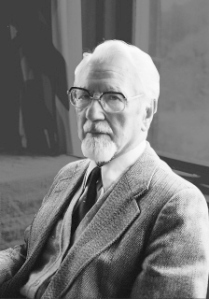 In 1976, he was appointed first Writer-in-residence at Queen’s University and in 1983 he was made a Freeman of the City of Belfast in recognition of his profound contribution to our society. An avid supporter of equality, opportunity and justice for all, John Hewitt officially opened The Belfast Unemployed Resource Centre (BURC) on Mayday 1985. 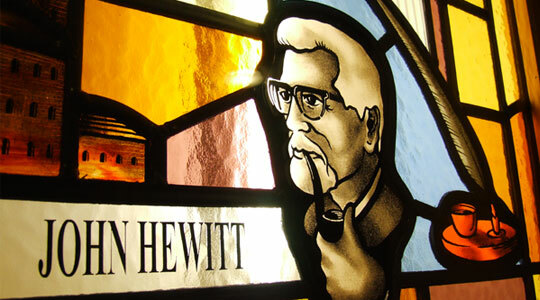 A social enterprise business was established in Belfast to raise funds towards the running of the centre – this was to become The John Hewitt Bar, which opened in 1999, named in tribute to the ethos and beliefs of the poet. John Hewitt died in Belfast on 27 June 1987. He donated his body to Queen’s University for medical research. There was no funeral, but a week later three hundred people gathered in the Lyric Theatre Belfast to remember him. John Hewitt’s personal library and literary archive was bequeathed to Ulster University. Following this event The John Hewitt Society was established, to honour his memory and to encourage the continuing exploration of his ideas and ideals: breaking down parochialism, exclusive concepts of identity, and sectarian hostility towards the ‘other’. Read a selection of John Hewitt's poetry here.